When we approach the church thematic, we find that managing a ministry is a far more complex task than appears at first. Of course things are conducted differently in different types of churches, depending on the worship, church size and the number of members. Besides matters of religious belief, in all churches irrespective of their worship and whether we refer to a large church, medium or small church, various financial activities, more or less complex, are carried out daily. There are several financial aspects that are common to all churches, such as: donations, annual member contributions (tithing), funds for helping people in need and funds for the church’s expenditure. But there are also aspects of the financial sector that differ from one church to another, such as wages for various employees of the church, administrative expenses, donations in objects, land or houses or other valuables. The person who is responsible for the daily administrative tasks of a church realizes the importance of keeping the financial aspects perfectly under control, as precisely as possible, so that the church is fully operational at all times. In small churches with few parishioners this is easy to achieve, but in the case of larger churches, these activities can become particularly difficult without adequate accounting software. Accounting programs used in production companies, businesses or services can not cover the requirements of the way in which the financial activities of a church should be kept under control. 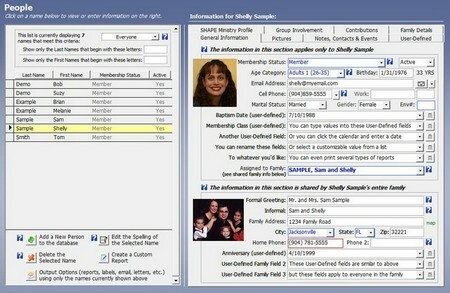 For this purpose, software developers have developed special software for the financial management of a congregation. There are a great variety of financial software programs for churches and therefore it is extremely important for the person responsible of acquiring the software to be able to determine as accurately as possible the church’s expectations of the software, that is, what the financial program must be capable of doing. If you have trouble determining what exactly you must expect from the software, it is appropriate to consult several types of church management programs and to choose one that will also meet your potential future requirements, so that an upgrade or a future supplement will no longer be necessary. A financial, accounting church software must be able to follow both income and expenditure, all sources of church income and all types of expenditure. All churches achieve revenues from the annual membership fee. From a financial point of view, this income should be reported back as a charitable donation of the parishioner. The chosen software must be capable of highlighting this aspect by generating accounting reports that are easily found by the accounting staff. Some churches may have a mortgage on one of their belongings, or can contract a loan to be repaid to a bank. Financial software must be able to control this type of expenditure and even to make accounting-financial projections for a determined period. Some donations could pose additional problems. We refer here to people whose donations not only consist of cash, but also in buildings, lands or other assets which must be properly assessed at their real market value, empathised as such in the category of church income. Another potential issue here is the possibility of generating financial documents to the person making the donation. In general churches operate on a low budget and so acquiring the right software is extremely important. But having a good software is not enough, the user must also hold the knowledge needed to use it properly. Lately specific church software has known a great development and improvement, partly because of the economic and financial crisis, which imposed an even grater care in the way people spend money and in the proof of expenditure. Besides the classical financial and accounting software programs, more complex church management software have appeared on the market. 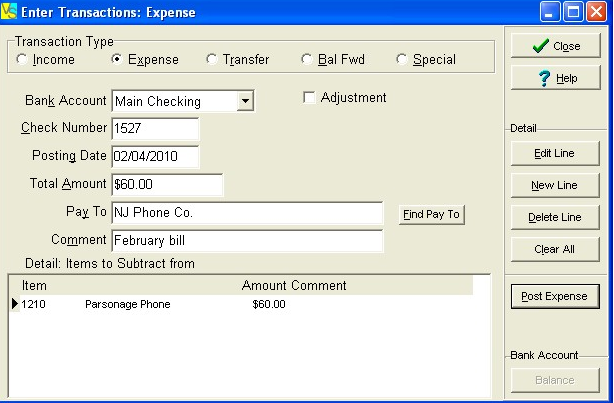 Therefore the question that arises now for those who want to carry on their financial activity using financial software is which type of program they should choose: accounting / financial software or management software. 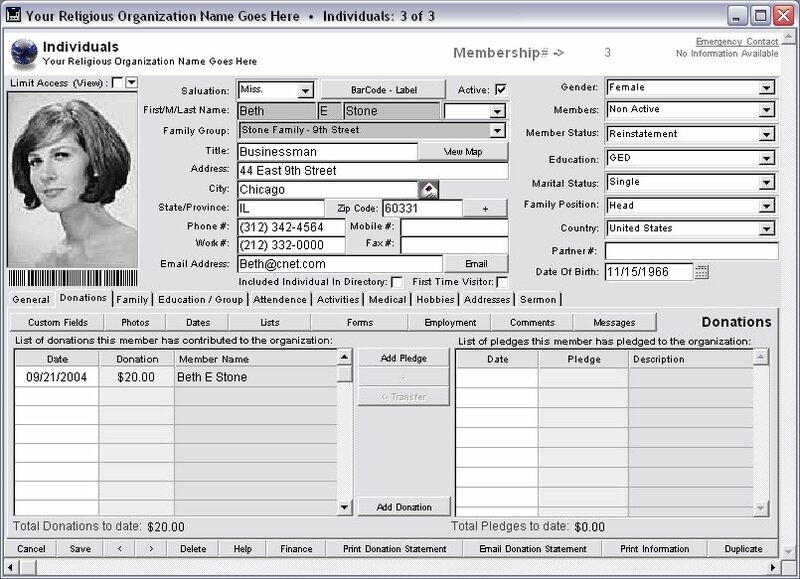 Classical financial church software allows tracking the financial situation of the congregation; these programs can account a limited number of financial factors on donations and / or the persons who made them, the expenditure and the financial status of the church, but they don’t posses the large, varied number of other functions that, on the contrary, can be found in a church management software. Church management software is a far more complex product that has various other features besides tracking the financial aspects regarding income and expenditure such as: people and visitor management, event scheduler, mailings, as well as generating complex documents. If the church is primarily interested in its budget or just in tracking the income and expenditure, then purchasing accounting software is sufficient. However, many churches now purchase management software, because these are very complex and also include financial and accounting programs, thus offering a greater flexibility in addressing financial matters. The conclusion is that, taking into account the cost - benefit ratio, it is more appropriate to purchase church management software for those churches that can afford it. We have already analized and proposed a variety of church management software packages for Windows in a previous article . If you are a Mac user, you can check another article which presents church management software products for Apple users.